Brooklands is a brand new development of three and four bedroom modern family homes complete with parking and a large detached garage and enclosed gardens and is situated in the parish of St Sampson conveniently located close to local amenities. The houses have been built to the highest specification and have been tastefully fitted with quality fixtures and fittings. 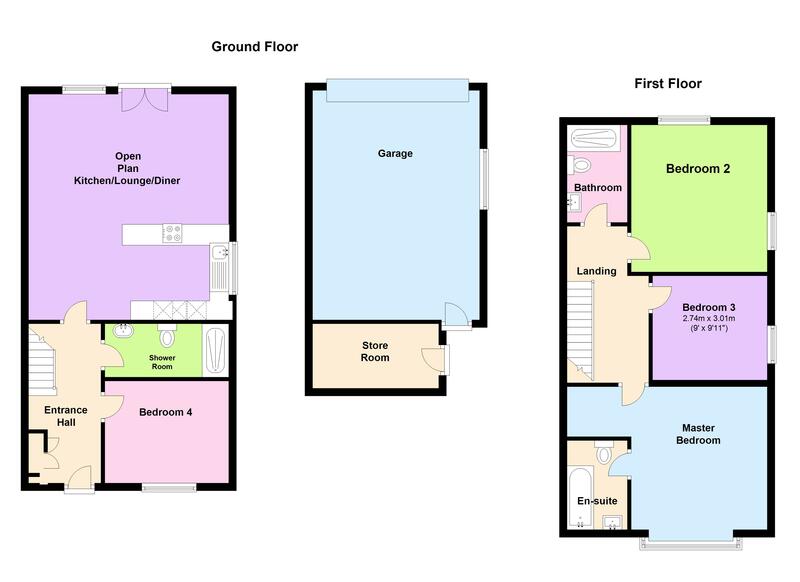 The accommodation on the ground floor comprises an entrance hall, shower room and a ground floor bedroom. The property offers flexible living with a large open plan kitchen/lounge/diner with patio doors leading to the rear garden. The first floor boasts a master bedroom complete with en-suite and two further good-sized bedrooms and a modern family shower room. Brooklands would make a wonderful family home and is within walking distance of local schools and early viewing is highly recommended. Call Cranfords today on 243878 to book your viewing. 24'2" x 18'1". Appliances include Neff single oven, Neff combi microwave oven, Neff hob, Neff extractor fan, Hotpoint fridge/freezer, Neff dishwasher and Hotpoint washer/dryer.